Kid Tests Maytag Washer With Muddy Slip & Slide! *Kid Test* Mud, Water and Grape Juice vs Maytag! This post brought to you by Maytag. The content and opinions expressed below are that of Real IronDAD. Kids are dirty. Our family loves to get filthy when we play outside. That’s why when I heard about Maytag Laundry‘s #MyFilthiestPlays contest, I had to get in on it! If you enjoy getting down in the dirt with your kiddos, then this contest is for you. Having a high-quality, powerful and up to date washer/dryer in your home is super important for busy families. The new Maytag Top Load Washer and Dryer are where it’s at. When we visited Grandma’s house to shoot the video below, we knew that we needed a good washer if we ever wanted to see my daughter’s clothes live to be worn another day. In addition to IronDAD’s Slip and Mudslide Baseball, there are lots of activities your family can do to get filthy outside and enjoy time together. Check out some of these great resources for lots of fun getting filthy! Jamie Reimer – 30+ Fun Activities for Kids to Play in the Dirt! What does your family do to stay filthy during the summer? Upload photos or videos of your family’s Filthiest Plays of the Week by sliding, diving or just doing something filthy by using the hashtag “#MyFilthiestPlay” on Twitter or Instagram, for weekly prizes like a Maytag Top Load Washer and Dryer pair, and the opportunity of a lifetime – a grand prize trip to the World Series. 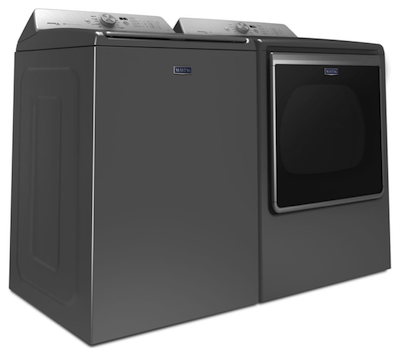 More on Maytag’s Top Loading Washer From Maytag’s website: You can count on it for the Best Cleaning in its class driven by the PowerWash® system, which combines the PowerWash® cycle, the high concentration cleaning of PowerSpray and optimal dispensers. But that’s not all this washing machine is bringing to the laundry room. Its enhanced steam cycle capabilities include the Deep Clean option and the Sanitize cycle, which serve up enhanced cleaning that’s tough on stains. Plus, with sturdy Maytag® Commercial Technology and a 10-year limited parts warranty1 on the direct drive motor and wash basket, it’s just one more way Maytag is bringing the confidence in cleaning.